The flat rack design and detachable chrome trumpets (17.5″, 15.5″, 11.5″) allow for numerous great installation options. The kit includes a BlastMaster valve upgrade kit that pushes the sound so an insane 157 dB! 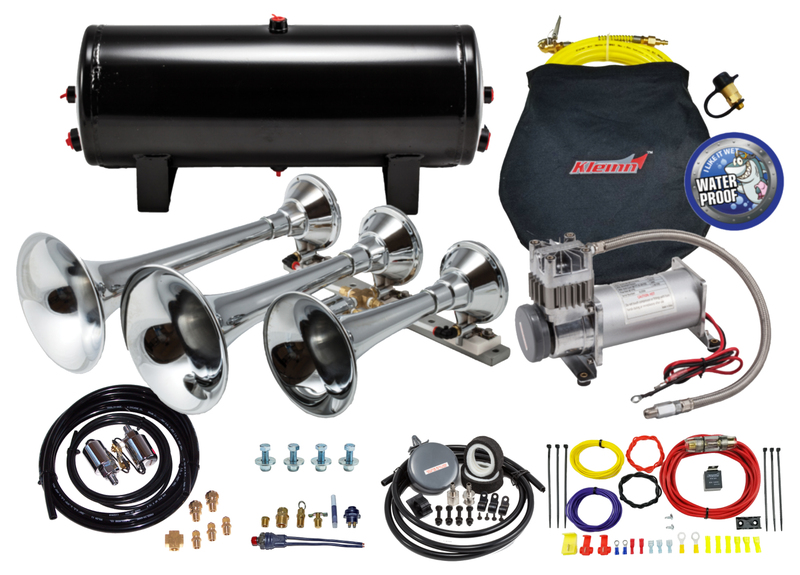 The kit includes a 150 psi, 100% duty compressor and a 3 gallon tank that can power your air horns as well as other accessories like air bags and small air tools.